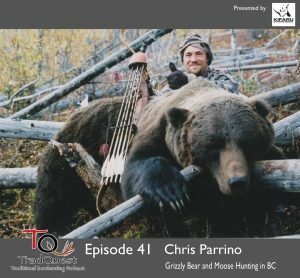 In this episode we talk bear hunting with Chris Parrino. Chris has been on some incredible adventures and in this episode he shares a couple of those with us. Chris loves hunting big bears and has taken many grizzly bear, black bear, and a polar bear with his recurve.